Spathiphyllum (commonly known as Peace Lilies) is a genus of about 40 species of flowering plants in the family Araceae, native to tropical regions of the Americas and southeastern Asia. They are a popular choice for offices and homes. 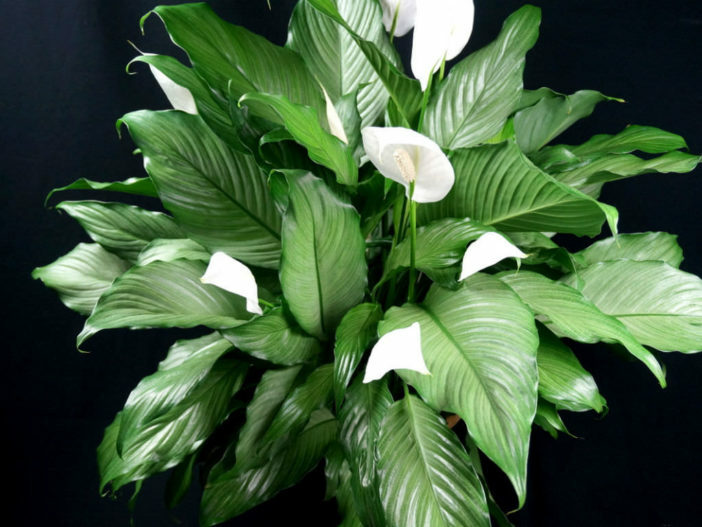 Peace Lilies are vibrant and lovely, with verdant leaves that grace any indoor space with a touch of life. They’re also on NASA’s list of top air-cleaning plants. The really great news, though, is that peace lilies are easy to care for. With these tips, you can enjoy them for both their aesthetic and function for years to come. Watering is another area in which your Peace Lily will communicate with you. If leaves begin to droop, it’s time to water and your plant won’t be any worse for the little bit of wear. Make sure your Peace Lily’s pot has good drainage. If wilting occurs, check for soggy roots, which indicates root rot. While Peace Lilies can do fine with fertilization only once or twice a year, regular fertilization in spring and summer will encourage blooms. Peace Lilies are sensitive to chemical fertilizers, so use an organic general houseplant fertilizer at one-quarter to one-half the recommended strength. Once roots begin to show above the soil, it’s time to repot your Peace Lily. This usually occurs about every year or two. Repot into a container that is about 2 inches (5 cm) bigger in diameter than the current pot. Repotting is a good time to divide your plant. Crowns, areas where clusters of about two new leaves are growing, are a good place to divide your plant, but some people just separate roots anywhere to multiply their plant. Use soil from the old pot for the new plant so that it isn’t shocked. For smaller transplants, don’t use a pot that’s too big. Cozy roots encourage blooms.